User Generated Content. 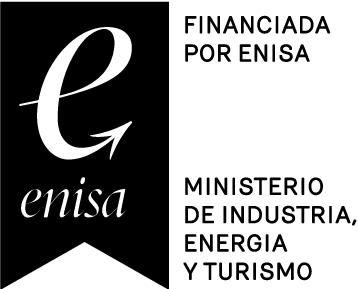 Customer Content. Earned Content. Whatever you want to call it, you might’ve heard about UGC and the amazing things it can do for a brand. Maybe you understand the basic definition – it is right there in the title – content generated by users. But still, when it comes to marketing we can’t help but ask … What is UGC? And how can brands use it to create connections with their customers and ultimately increase conversions? You’ve come to the right place. Photoslurp is a leading player in the visual commerce world, and customer content is our speciality. Time to jump right in and learn more about the powerful things UGC can do for your brand. Here, we’ll give you everything you need to know (and even a little more). Feel free to read all the way through or click directly to the paths that interest you the most. For even more detail, you can click through to the related content included in each section. Let’s get started! 1. What is User Generated Content? So we get that UGC is content generated by users. But what does that really mean for a brand that is hoping to leverage customer content to increase brand recognition and sales? That’s the question we hope to answer throughout this article. Let’s start with a concrete definition. In a nutshell, User Generated Content (UGC) refers to any content which has been created by a brand’s fans and wider audience that can be used to sell more of a product. This might take the form of pictures, videos, testimonials, reviews, tweets, blog posts, and more. Obviously, it’s always super cool, as a brand, to hear that customers are happy with your products. But the beauty of UGC lies in the fact that it’s also super cool for other shoppers to hear how happy people are with your products. So, this customer content amplifies the nice things that consumers are saying about you, instead of a brand promoting itself. Plus, 78% of millennial are more interested in seeing UGC over Professional Content (PC). Plain and simple, people are more likely to engage with User Generated Content over any other type of content. When you think about it, the benefits of UGC are endless. Deep down, we all know that people respond better to brand messaging when it isn’t the brand making the messaging themselves. But, if this isn’t enough to convince you, I can give your brand an even better reason to try UGC: it helps eCommerce stores increase conversions by 15% on average. That’s right. This isn’t just a cool idea to help heighten your brand’s connection to customers (though it can help you immensely in that department!). The data actually supports customer content’s ability to boost sales. Further, we conducted a study which showed that UGC photos are 5X more likely to convert compared to PC. With so many benefits, UGC is truly a must for eCommerce stores. And it all starts with the OG brand goal: getting your customers to trust you. So what makes UGC so great? Since this content has been ‘crowdsourced’ from everyday folk, it has a notably raw and authentic feel. Plus, the product is being used by someone who isn’t a model being shot in a studio. They’re real people, in the world, taking nice pictures with your products. Why wouldn’t you want to use them? Since brands that run User Generated Content campaigns are seen as authentic, it naturally follows that consumers trust them more. In fact, studies show that a majority of consumers trust customer content 50% more than other media. And if 70% of customers check product reviews before purchase, UGC will help you reinforce the reliability and performance of your products. While three-quarters of shoppers are influenced by social content, every brand out there is vying to be an influencer. So building trust with customers should be high on every brand’s list. Shoppers have too many options to waste time on a brand that they don’t believe will deliver a consistent product. Make sure your customers know that when they buy something from you, they’re guaranteed a product that everyone trusts and loves. People are already talking about you on social media. They’re already comparing products and listening to peer recommendations of what to buy. So why not harness all of this social proof, and use it to impress your shoppers? UGC is sounding pretty good, right? Before I further explain how User Generated Content will help your brand, let’s talk about Social Media Marketing. I don’t think I need to spend a lot of team convincing you that Social Media is a crucial eCommerce tool. The majority of people follow brands on social media in some way, shape or form, including a staggering 95% of millennials. Mobile web usage has recently surpassed that of desktops, and the numbers tell us that those same users aren’t afraid to spend on their phones. And, as of the third quarter in 2017, PCs were still ahead in terms of actual sales, but smartphones were the winners in terms of eCommerce website visits. Shoppers spent more online on average than those shopping in-store in 2016, and 75% of people have bought a product because they saw it on social. But if you’re still evaluating how well you’re performing on social media by simply looking at your follower count, you may be missing the point. Here’s what you need to know: modern social media marketing has a lot less to do with vanity metrics such as ‘Likes’ and follower counts than you may think. What’s the point of having thousands of followers if they result in no meaningful leads, conversions or sales? Focus instead on using Instagram as a way to build an engaged brand community. The first step: posting content the resonates with your followers / potential customers. Ahh yes. The eternal struggle: generating content that will constantly interest and excite users. Well, the formula for strong content doesn’t have to be rocket science. It can be as simple as re-posting User Generated Content that you know will spark their interest. With the added bonus that UGC instantly encourages others to join your community, too. Think about it: if yogurt brand, Chobani, posted a product shot of their yogurt (or even a picture of a model eating the yogurt), it definitely wouldn’t have elicited as much engagement as this picture did. This tells a story about a hard worker in New York looking for the perfect snack during break time, and most importantly, it makes all of Chobani’s followers want to do the same. And it doesn’t just have to live on your Instagram – your social media marketing strategy can include UGC on your website, ads, you name it (more on this to come!) Plus, Shopify notes that User Generated advertising receives four times higher of a click-through rate versus any other type of marketing. An effective social media strategy is rooted in three elements: responding to the wants and needs of followers in real-time, presenting your brand as a personality (versus appearing robotic or corporate), and boosting content that strikes a chord with your audience. User Generated Content helps you achieve all of these elements on social media and here’s how. According to a study by Sprout Social, approximately 57% of social users cited “too many promotions” as the number one reason they unfollow brands. Meanwhile, ad-block usage is at an all-time high worldwide. Yup, it’s pretty obvious these days: constant self-promotion is a predictable way to drop your follower count and tune out your audience. Brands need to be tactful in terms of how they present their products, or customers are quickly going to move on. That’s where customer content comes in. Customer content represents a win-win for brands and followers alike – not only does it remove the sales pitch from your promotional posts, it also shows off your products in action. Now, your followers don’t just want a product. They want an experience with your product – just like Heather and her Strawberry Frostino in the sunshine. Brands should strive to take each and every opportunity to sell beyond the realm of boring product pages. Instead, place products in a real-world setting which is both eye-popping and helps your followers visualize a personal connection with your brand. Speaking of personal connections, consumers today want to put their trust in people, not brands. This is especially true when it comes to the younger crowd. The only issue is, brands are not people. But you know who is? Your customers. When you can encourage customers to take and post pictures with your products, they can become the many faces of you brand. A great way to get them interested in selling for you is by showing some personality. Consider how small touches of humor, attitude, personality and puns within your Instagram captions or tweets can remind your followers that behind every brand interaction is a real-life person, not a robot. Of course, not every social media manager needs to (or even can) be a stand-up comedian. According to the aforementioned Social Sprout study, one-in-three social users will unfollow a brand for ‘trying to be funny when they’re not.’ Oops. But you’re better off showing some human side to your brand voice and image – remembering again that the best human side could come from the humans that buy your product. Whatever route you decide to go, when it comes to tone and customer content, make an effort to be genuine rather than trying to fake a marketing message that doesn’t jive well with your brand or your customers. Part of the beauty of social media is the fact that followers and brands are on a level playing-field. Both parties are just an @ away from each other. The ability to interact with followers in real-time not only serves as means of customer service but also as a tool for curating User Generated Content. When you become known as a brand who responds to your interactions on social media, users are going to give you more engagement. For example, natural cosmetic brand, Lush, encourages customers to ask about the best products for their skin or hair type directly on Instagram posts. Remember: customers don’t just want responses from brands, they expect them. Although responding to your followers may not seem like a make or break situation from a marketing perspective, 5 in 6 messages in need of a response on behalf of followers are never answered. As noted by Forbes, 62% of millennials want to get in touch with their favorite brands via social and 60% cite brand loyalty as a factor influencing purchasing decisions. That means they’re thinking about how receptive your brand is to their needs while they make their purchasing choices. Taking the time to both seek out and respond to your audience is a small touch point that most brands aren’t willing to commit to. Don’t be one of those brands. Use social media as it’s intended to be used – as a social platform – and users will respond positively. However, when your content person plays the role of ‘curator’ versus ‘creator’, their job become much easier. If you’re able to encourage and curate customer content on a regular basis, you instantly lift the burden of constant content creation. Each time a follower tags you and leaves some sort of positive feedback or asks a question, you are presented with an opportunity to use customer content to your advantage. If nothing else, incorporating customer content into your feed is a fantastic supplement to your existing social strategy. Since User Generated posts are truly organic, they’re a welcome break from pieces that you’d normally create and boost yourself. And not only that, but users are already creating this content. 80 million photos are uploaded daily to Instagram. And don’t forget the 30 billion pieces of content published to Facebook monthly. It’s already being generated, just learn how to curate it. Over 86% of businesses have some sort of User Generated Content strategy in place. Meanwhile, millennials trust User Generated advertising 50% more than traditional marketing messages. The “pump and dump” approach to content via social media is dead and buried. Likewise, if you aren’t giving your followers a voice, you’re inevitably holding back your ability to grow. By encouraging and curating customer content, those opportunities become more obvious and your brand increases its chance to get its message in front of more followers. Given the fact that so few brands leverage User Generated Content effectively, the sky’s the limit for those who understand the power of engaging your followers in a meaningful manner. Don’t be one of those brands who are serially tweeting their own content and liking posts at random. Instead, put together a content strategy that’s centered in curation instead of scrambling for content and hoping that something sticks. While we can acknowledge that follower count isn’t everything, it never hurts to bump up your numbers. The more followers, the more UGC you’re likely to receive. Thankfully, UGC breeds UGC. Once you start implementing it within your strategy, you’re sure to hit a goldmine of new followers for your feed, all without needlessly spammy posts. If we delve into the images posted via the hashtag, it’s clear that fans are responding in the form of customer content. This encouragement is a win-win for Kanken: their products spread through the social space at no cost and non-followers are exposed to their tag. Brands that know how to handle a hashtag also know how to encourage their content to spread like wildfire. But getting the process started can seem daunting when you’re only beginning. However, it can be as simple as asking for a review or starting a customer content campaign. Let’s break the process down starting with reviews. Think back to a time when you left a review of a product or a company. What motivated you to take action? Chances are, it was one of two scenarios: Either you hated the product or service and left the review to keep others from making the same mistake of buying it or you liked the product or service, and they asked you to leave a review. The second, however, most often requires them to reach out to you and ask. Otherwise, you may not have been inspired to leave the review despite your good experience with the product. People tend to talk more about negative experiences than positive ones, so that’s why your customers often need a little nudge to get to sharing! So, prompt your users to give a review. Send them an email, reach out to them on social media, or call them and ask. Now you can use this same model when it comes to UGC. Step 1: Do an audit to find your current customer content. If you haven’t been tracking it, there’s a good chance some of your customers have already posted images of your products without you even knowing it. To find them, search for your brand on Instagram using #yourbrand. Step 2: Create a customer content campaign. Hosting a campaign and giving away products to random winners is the first step in getting loads of customer content. People love associating themselves with good brands (and getting free stuff). When crafting your campaign, be sure to think about your goal – do you want to generate more reviews which you can use on your product pages or do you want to get your followers to contribute to a hashtag so that you can dominate Instagram? If it’s the latter, make sure to create a unique hashtag for your brand – whether it’s the name of your brand or something new – make sure that when people post with this hashtag it’s intentionally for you. This makes it easier to collect your UGC in the future. Once you start encouraging users to latch onto your addictive hashtag, you’ll start to see your UGC coming in. Be sure to respond to their comments. Don’t be afraid to comment on their photos, repost them on your social media accounts, and randomly give them free gifts. They don’t have to be expensive, either! For example, you can send your customers fun, branded stickers which they can paste on their laptops or other gear. The more you engage with them over time, and they see the rewards of posting a photo or writing a review, the more they will remember your brand in the future. Now you get to witness the power of UGC, and maybe you’re wondering: can it go further? Of course it can! You can and should stretch your earned content as far as it can go – and here’s how. We’ve seen time and time again how User Generated Content helps brands on Instagram by increasing conversions, building trust, and painting posts with a more personal touch. So don’t save all your UGC juice just for social media. Share the love with your email marketing campaigns! Since UGC has the potential to plug up the holes in your marketing strategies when it comes to conversions and click-throughs, you should integrate wherever you can. User Generated Content can help with easing all of these pain points .And you don’t have to scratch your current email marketing campaign to do it. With a little bit of tweaking and some creativity, you can concoct the best email marketing campaign using UGC for your brand. In fact, you should be using UGC in your emails to encourage users to create more content for you. With an email based hashtag campaign, you’re sure to get more people snapping shots in your products. Plus, your social followers are a resource for the rest of your marketing strategies. Think of you Instagram followers as potential email subscribers – so they never miss a beat of your content. According to a recent eMarketer report, email marketing boasts a median ROI of 122%, which is actually four times higher than the likes of social media or paid search. Now add that to User Generated Content conversion power, and you’ve got your reason for integrating UGC into your email marketing strategy. The key takeaway here? Email and social media shouldn’t be totally separated. This is especially true as experimenting with UGC through email is so simple. Whether your goal is more sales via email or leading customers to your shoppable social feed, UGC and email combined are a powerful combination. Another crucial way to use UGC is in Facebook Ads. Facebook users, AKA most people, spend their time scrolling through an endless cycle of news, pictures, and ads. They get pretty good at spotting an ad and immediately scrolling past it. But with UGC, you’re more likely to get users interested in the content that you’re sharing because it’s more natural and real – just like the pictures that they expect to see of friends and family on Facebook. Plus, it cuts your Customer Acquisition cost! Which we’ll go into further in the cutting CAC section of this article. And, Photoslurp makes it easy to get your customer content integrated into ads. With our Media Rights Tool, you can easily request all rights to photos and videos, ensuring that you can use this content wherever you like. There’s no limit to the potential of your UGC. If you love a customer picture so much, once you have media rights, you can even stamp it on a billboard and make it the face of your latest campaign. As Beyonce says: If you’ve got it, flaunt it. Show off your UGC everywhere you can, and start experiencing the benefits. User Generated Content doesn’t just mean Instagram or Facebook posts. From YouTube to customer reviews, there are tons of different ways for your customers to share with the world just how happy they are with your brand’s products. But are you taking advantage of them all? Learn about all the different kinds of UGC and how they can help your brand’s eCommerce efforts. 88% of online shoppers incorporate reviews into their purchase decision. Why are they such a credible source for buying information? Because it’s coming directly from actual people looking for the same solution (aka UGC). Customer reviews were the original UGC, back when brands sold only in stores. Now that we’ve migrated online, so have good, old customer reviews meaning tons of ways to incorporate them into your online store to prove to future customers that your products are reliable. Trustpilot is an online review community that also helps businesses present their brand to potential reviewers with the goal of accelerating business. One thing about Trustpilot that I find helpful is that they have a free version of their product available on their website to help you start collecting and posting reviews. Once you begin experiencing the value that reviews bring to your eCommerce conversions, no doubt you will want to explore more of their advanced features like social media integrations and review tagging. Reevo is considered an up-scale review tool that runs on-site on your product pages providing multiple relevant review search filters. They’ve been in the business for 10 years giving them the advantage of a fine-tuned collection method – they have a 20% average response rate. Many competitors are happy to receive a fraction of that. Our final platform is PowerReviews. While this tool has a lot of similar features – like syndication to gain impressions on your reviews – I find that their website is comprehensive and easy to follow. This is definitely a plus when you’re looking for a tool to help improve your eCommerce website! Always remember, most people aren’t going to make UGC by themselves – in most cases, you’ll have to ask for it! After all, over 50% of consumers want to be told what sort of UGC to create, but a majority of brands fail to deliver. Using one of these services, you’ll be sure to get customers sharing their experiences in no time. Twitter often gets left behind when we start talking User Generated Photos, but it can be a great resource for customer interaction that brands should capitalise on. Content creators can learn a thing or two from companies such as Denny’s, who consistently flaunt their sense of humor. They’re basically known for their hilarious twitter account that often responds directly to user comments, all the while keeping up their playful tone. Now other Twitter users can have a little chuckle, as well as be reminded that Denny’s is open 24/7. Don’t forget: Twitter can also be a great resource for collecting customer photos. By retweeting their mention, Kate Spade is organically spreading UGC as social proof. To further this UGC magic, they could take this photo and integrate it directly into a product page or gallery on their homepage. And the UGC benefits just keep coming! Considering that User Generated photos are being shared by the millions, there’s certainly plenty of content out there for brands to leverage. 7 out of 10 YouTube subscribers relate better to their favorite YouTube content creator than to traditional television or movie stars. 40% of millennials believe that their favorite YouTuber understands them better than their friends. Those numbers almost seem unbelievable, until you take some time to break it down. Why is it that YouTubers earn a reputation of being more relatable and understanding? Because they are just users of the platform sharing their opinions with other users. Content created by users on YouTube, even if it is of a marketing nature, has an authentic feel that helps to gain the viewer’s trust. Plus, earned fan videos are viewed 10 X more often than owned videos. And that’s why User Generated Content is so powerful. 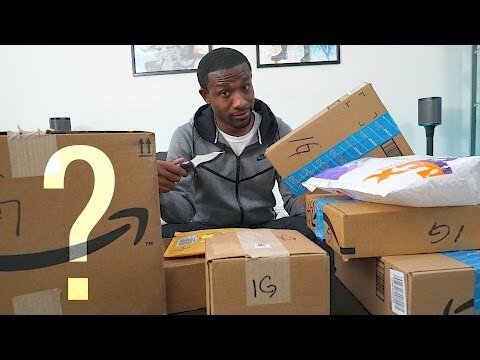 Here’s an example of how useful YouTube UGC can be: an unboxing from UrAvgConsumer. Now, shoppers have an opportunity to see what exactly comes with new products, how to use them, and how well they work – and, more importantly, it wasn’t the brand that told customers how great it is! You know on Amazon how you can add products to your wish list to come back to in the future? This is also User Generated Content! Amazon uses that information to create a Master list called ‘Amazon Most Wished For’. Here, Amazon users (these days there are 100 million Amazon Prime Members globally) can browse the products that other people are interested in. And, because Amazon is on point with it’s UGC, you can also see those trusted star ratings directly under the products. Then, brand recommendations of this nature can even be used in tandem with other forms of User Generated Content. For example, back to YouTube videos. 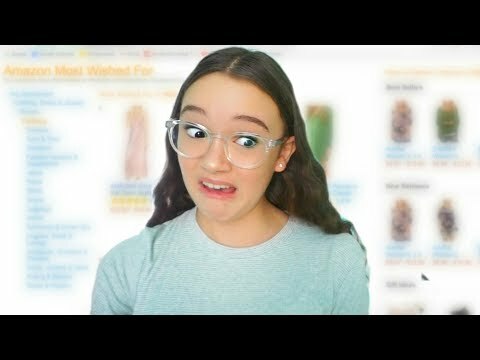 Check out how FionaFrills shops products from the Amazon Most Wished For list and does her own unboxing of her latest purchases. Getting your product on a video like this – which has 1.2 million views by the way – will get your brand not only amazing exposure but also earn you a trustable reputation. The same can be done with playlists on Spotify or book lists at Barnes and Noble. The more you get people sharing, the more other people will want to engage along too! Looking for more? Check out this article that gives a more in-depth explanation of all the different kinds of UGC! When it comes to customer content, the sky’s the limit. Time for some real-life inspiration – check out how these other brands are using customer content, and have a think about how you can incorporate earned content into your own marketing strategy. What CLUSE Watches does is use a customer content gallery to populate their “Lookbook” section. Shoppers can stroll through the pictures to see how CLUSE’s customers have paired their watches with their outfits. Here’s the smart part: upon clicking on a picture, there’s a specific link to the featured watch, making it extremely easy for the viewer to shop the look! It’s widely known that the best advertising doesn’t simply sell a product. Instead, it sells a lifestyle. One easy way of having your potential customers associate a certain lifestyle with your eCommerce store? Use a customer content gallery which showcases the kind of image you’d like to portray, like jewelry brand Links of London. Links of London is clearly going for a classic, dainty, and impeccable style with the pictures featured on its customer content gallery. Upon scrolling through this gallery, it’s easy for shoppers to get what the brand is about. This kind of information helps visitors to imagine the outfit on themselves and decide if it would be a good fit for them before they ever make a purchase. By showing off their products on real customers, it gives potential customers a sense of satisfaction. They’ll be able to visualize what shape or style might look like on them, which helps customers determine whether or not they want to purchase the product. Hello Fresh takes a playful approach to leveraging their customer photos. They constantly encourage users to engage with their brand with hashtags like #HelloFreshPics, #HelloFreshPets, & #FreshFriends. Feel like you spend way too much money trying to bring in new customers? You’re not alone – eCommerce customer acquisition cost can get pretty crazy if you aren’t going out of your way to keep that cost low. In fact, it’s approximately sixteen times more expensive to bring a new digital customer to the same level of profitability as a past one. And one of the best ways to keep customer acquisition cost low is to use customer content throughout your marketing efforts. If you’re a bit skeptical about using customer content in your social media ads, consider this: Facebook ads with customer content result in a higher click-through rate and a 31% lower cost per click. Does the picture accurately represent the color and proportions of the dress? The best way to do that? User Generated Content. More specifically, photos and reviews. Besides, nearly 90% of buyers put more stock into user reviews than anything else you could possibly say. You can see that it has over 2,000 reviews – and most of them are positive. On top of that, there are 83 outfit photos from actual customers. Not only do those earned content elements answer pre-sales questions like the ones I mentioned above – they also build trust and help potential customers overcome objections that might cause them to not buy the product. As you can imagine, showing the customer this much customer content to support the quality of your product is pretty effective at increasing conversion rates on your eCommerce website. I’m not just saying that – research shows that customer reviews result in a 74% increase in product conversion. And one Urban Outfitters study showed that adding a UGC gallery of customer photos led to a 15% shopping rate improvement. Reviews aside, there are also tons of other formats that you can play with, including carousels and galleries, lookbooks, and more. You can even show customer photos alongside your regular product photos in product pages. These are all great for conversions as well, with one CLUSE watches study showing that adding a customer content gallery of customer photos led to a 19% shopping rate improvement. Those kinds of results translate directly to lower customer acquisition cost. Building a loyal, hungry base of customers is the ultimate goal of any business; however, customer retention is a massive area of concern for mainstays and budding brands alike. The concept of creating lifelong customers can be absolutely daunting. After all, new brands are popping up daily: meanwhile, trends change and even the most promising fits can quickly become flavors of the week. So, how do you make long-term customer retention a reality in the incredibly competitive and crowded eCommerce landscape? Look at it this way: customer content represents social proof as customers actually see your products on display from real peoplein real-time. Encouraging the creation of User Generated Content is perfect for customer retention. After any purchase, you immediately provide your customers with an action to take to continue to interact with your brand. The more interactions, the better as you work to cement a stronger emotional connection between your brand and buyers. We’ve just addressed how you can use User Generated Content to combat your customers’ pre-sale questions, leading to an increase purchases. But another snazzy benefit of loading your customers up with as much information as possible via customer content is that you can reduce your return rates by doing so. Did you know that $62.4 billion worth of apparel and footwear alone were returned in 2016 due to incorrect fit? To understand how this happens, first, let’s have a think about why people return products. Why do People Return Products on eCommerce Stores? That last one is the most common reason for eCommerce returns. The item didn’t fit. Going back to that $62.4 billion figure – that amounts to over 23% of all returns! But what if I told you that visual customer content could help solve some of these common return issues? Let’s start with item fit. Because 70% of customers check reviews or ratings before making their final purchase, providing customer content is a great way of empowering your customers to choose items which fit them best. Let me give you a personal example. I’ve been looking for new sneakers that are comfortable enough to wear on the street but nice enough to dress up with a skirt or dress. I’d heard of Greats as a cool, upscale sneaker brand, so I checked out their website. There, I found an amazing pair of blush sneakers, but I wasn’t sure how they would fit. Luckily, Greats has a Fit Guide integrated directly next to each pair. But I still have doubts, how can I really know that these are going to fit? My eyes find the customer reviews shown directly at the bottom of the page. One review actually verifies that, yes, the Fit Guide is correct – go up a size! It’s so great to see that your purchasing fears are not something to fear at all. Plus, other customers are using the shoes exactly how I plan to – “comfortable yet classy”. And any last doubts that kept me from committing quickly dissipated when I noticed the UGC product gallery, showing fun pictures of real people wearing the shoes that I’m on the verge of buying. Nothing says you’re making the right choice like seeing how cool and desirable the product is in the eyes of other customers. As you can see, I’m a part of that 70% who prioritizes reviews when purchasing products. This is because user reviews are typically unbiased, accurate and paint a better picture of the quality of a product based on real use. By ensuring you have sufficient customer content on your site, you’ll be giving your customers the information they need to buy the right product, in the right size! Now, let’s think about how UGC can help alleviate returns based on customer expectations. Now customers know exactly the effect they can look for from the product, meaning more expectations being met from the start. There are so many different scenarios where UGC can help reduce return rates. Imagine buying a dress for a wedding and opening the box to see that the product description wasn’t quite as thorough as it could have been. Instead of purchasing a different dress from your store that was more appropriate for the occasion, your unsatisfied customer is now returning the dress upon opening the box. One piece of User Generated Content could have helped that customer understand the way the dress would look and feel before they moved ahead with purchasing. Meaning that UGC helps consumers choose the correct product the first time around. Not only that, but it can be a learning experience for your brand. If you see a customer photo or review explaining that something wasn’t quite as expected from the product description, you can go in and change that on your eCommerce site to help future customers. The more voice your give your customers, the better your eCommerce store will perform all around. Looking for more? Check out this in-depth article on reducing eCommerce returns with User Generated Content. In a marketing world that trusts UGC 92% more than advertising, firsthand photos are always a safe bet. So now that you’ve learned all there is to know about UGC, it’s time to actually do it! But do you really want to spend your days plunging through the depths of Instagram to find photos? Not to mention that you would have to figure out how to present the content on your website in a way that’s stylish and engages customers instead of turning them away. We suggest you make the most out of your UGC strategy by utilizing a User Generated Content platform. With a User Generated Content platform the process of collecting, publishing, and analzying your customer content is seamless. For a better understanding of what I mean, let’s lay out the ways in which a User Generated Content platform can benefit your eCommerce efforts and online shopping journey while talking about how to use current technology to get the most out of your UGC strategy. When you connect your social media efforts with your eCommerce store, you’re building the social proof that customers need at the point of purchase. We’ve already seen some examples of how brands publish UGC into their eCommerce storefronts, as well as connecting their products directly to customer photos and videos. Once you’ve got this down, you are ready to start analzying this content! User Generated Content platforms give you the control to ensure you’re always putting your best foot forward. This means choosing the strongest UGC – then making sure that everyone sees it. How do you know what your strongest UGC is? The Photoslurp feature ‘Top Photos’ is designed specifically for that. This tool analyzes which photos have been resonating with your customers providing key metrics like conversions, impressions, and click-through-rate (CTR) to give you complete freedom to filter as you please! The platform even let’s you see exactly how well each of your widgets is performing – down to the actual revenue driven per content piece. Alongside this feature comes the ‘Evangelist tool’, which gives you an idea of where your most premium content is coming from (Instagram, Facebook, Twitter) and who your most prominent evangelists are. With this information, you can better understand the people that most frequently post for your brand to gain larger insights into your customer base. Once you’ve found customer content that you love, the ‘Stickys’ feature guarantees that your premium earned content always remains at the top of the gallery. With this tool you can be sure that, while you continuously add new content to your galleries and carousels, each shopper is seeing your strongest customer content. Hopefully, you have so much UGC that it needs a bit of organizing. Your User Generated Content platform is there to help. You can use the Photoslurp ‘Collections’ feature to accumulate your content into multiple galleries based on gender, product, location, style…whatever you want! That way, customers shop the UGC that’s relevant to the products that they’re interested in. Shoeby divides their UGC campaigns into a few ‘Collections’, as shown with the ‘Dames’ or women content below. When it comes to collecting, publishing, and analyzing your customer content, a User Generated Content platform is really the way to go. Photo and video integration is seamless, and it will do wonders for your eCommerce storefront.If you’re not using a User Generated Content platform or aren’t happy with the one you have now, request a demo today and experience it for yourself. There you have it. That’s everything you need to know about User Generated Content. We hope you find this guide useful! If you still have questions, we want to hear them – let us know in the comments below. The Complete Guide to User Generated Content. Don’t miss a single detail on growing, collecting, and leveraging customer content in your marketing efforts.